Where's Your Business Map & Google Business Listing Ranking in Local SEO? Where’s Your Map & Business Listing? Are the customers closest to you able to find your business online? Does your business show up in the mobile maps? The Yellow Pages are dead. conservative estimates figure over 75% of all internet searches begin with local intent. Meaning if your online local business listing is not showing up in the search engine results of the major search engines then you are missing valuable business. Now is the time to claim or update your Google business profile page. You need to validate and take ownership of your online listings. Almost every business in the United States has their business name listed online with an address and phone number associated with the original business filing. 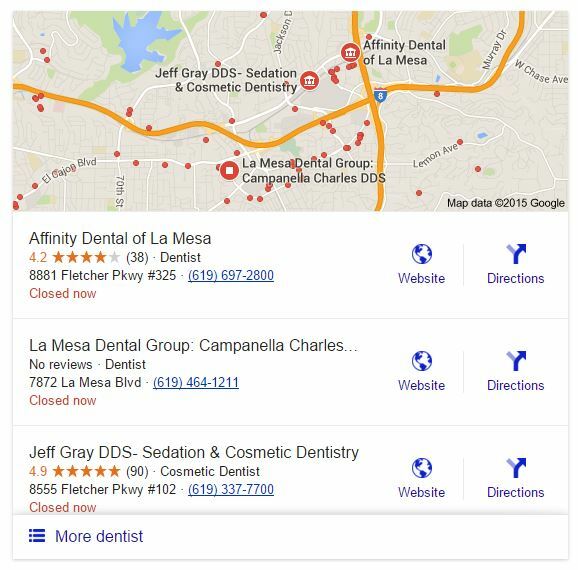 If your searched for your business in Google will your business be one of these 7 listings? Is the business information right? Is your business listing in not only Google but Yelp, Yahoo and Bing too? Do they match and say the same thing about your business? Is your business in Yelp, kudzu or other local directories? Do all your online Local Directories match? Do you have at least 10 5 Stars Reviews in Google? Is your business mobile optimized for Mobile Maps? Has your site been Geo Targeted & Tagged? If your business does not satisfy these basic questions your are losing valuable customers who are searching for your products or services. There are billions of iPhones and Android phones worldwide not to mention all of the micro tablets, mini tablets and other portable web devices where users use the mobile web to search for businesses close to where they are working, shopping or playing.